Congratulations. 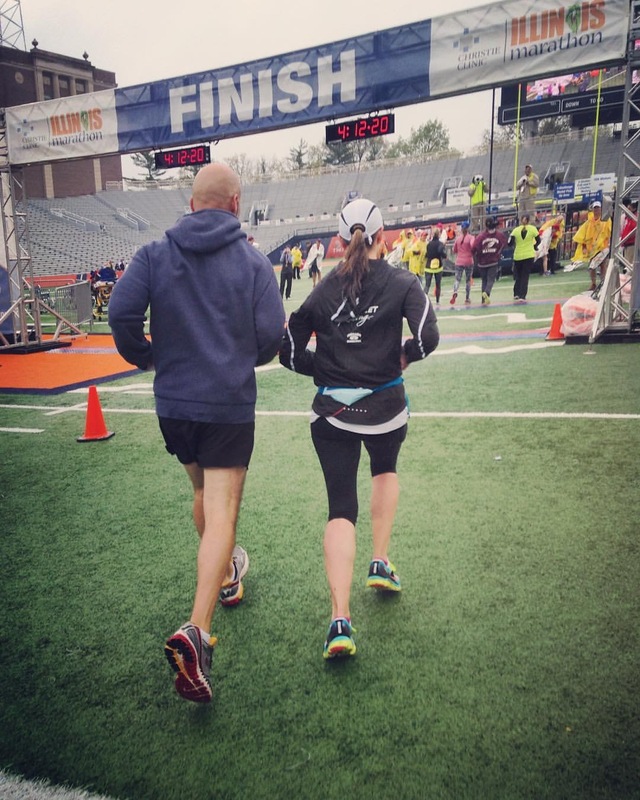 If you’re reading this, you have decided to tackle the experience of running a race. Unfortunately, many of you are likely to encounter some sort of injury along the way. You need to pay attention to your body, be mindful of some of the most common injuries and know what to look for to avoid doing further damage. 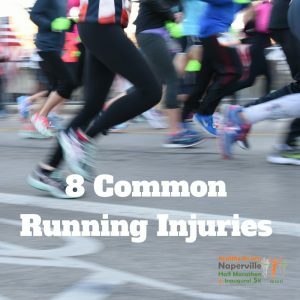 Be a smarter runner by learning about common running injuries you are likely to face during your training. Femoral neck stress fracture: This is a serious cause of anterior groin pain in runners. Usually worse with activity such as running or walking and better when not weight bearing on the hip, femoral neckstress fracture is caused by repeated stress on a bone which causes a small crack to develop. This can occur after increased training loads when runners increase their volume. It may not be visible on an x-ray, and a physician should evaluate persistent groin pain, as more advanced imaging such as an MRI may be needed to diagnose. This type of injury requires prolonged rest from running to heal. Lack of treatment can prevent proper healing of the bone in the femoral neck. Iliotibial band syndrome: This is a very common type of injury that runners experience. The iliotibial band is the large ligament that extends from the hip to the lateral knee. Runners commonly mistake this pain for a knee injury. It is typically felt as pain on the outside of the knee as the IT band tightens and causes friction against the lateral knee. IT band pain can also be felt anywhere along the IT band all the way to the hip. Just like femoral neck stress fractures, it is an overuse injury caused by too much mileage, over-pronation, running on uneven surface, or worn out running shoes. You may need to rest once you notice pain to your IT band. Look at your running shoes and make sure they are evenly worn, as over-pronation may cause more stress on your IT band. Try to run on even surfaces. If you run on a track, make sure to switch directions every few laps. Self-foam rolling is key in treating IT band syndrome as it stretches the IT band. Runner’s knee: Runners knee encompasses a term for any pain in, around or under the kneecap. It can be caused by malalignment of the kneecap or chondromalacia. Chondromalacia is softening of the cartilages under the kneecap where it deteriorates and causes pain. Chondromalacia pain is often worse when going up or down stairs. Imbalances in muscles can also cause abnormal tracking of the kneecap over the femur, causing pain. These muscles can be strengthened by performing Vastus Medialis Oblique or VMO exercises<https://youtu.be/vynEuGZKDEc>. This strengthens the quadriceps muscle so that the patella tracks normally over the distal femur. Runner’s knee injuries may require a reduction in training volume. Shin splints: Otherwise known as medial tibial stress syndrome, the cause is thought to be small tears of the muscle fibers near the tibia or inflammation of the periosteum (outer bone lining). Shin splints cause medial shin pain with impact and running. Stress fractures also cause shin pain. With stress fractures, pain is more localized as opposed to diffuse. If shin pain does not go away with rest, seek medical attention to rule out stress fracture. Runners with shin splints can still run but may need to reduce total mileage as shins heal. Ice shins after each run. Strengthening of the anterior tibialis muscle (in front of leg) is a key component of treating shin splints. Do this by performing dorsiflexion exercises with<https://www.youtube.com/watch?v=ElkXCO7IsgU&feature=youtu.be> and without a resistance band or weight<https://youtu.be/jwxugMF0iSk>. Stress fracture: Fractures of the metatarsals are common sources of pain that require medical attention and rest from running to heal. Persistent pain to the metatarsals should be evaluated by a physician. Plantar fasciitis: Plantar fasciitis is common for runners and presents with pain on the bottom of the foot occurring anywhere from the heel to the forefoot. The large fibrous band that stretches across the bottom of the foot can become inflamed with repeat pounding the pavement. As a runner, you must stretch this fibrous band regularly. A good way to do this is by rolling a tennis ball under your foot to stretch the fibrous tissues. 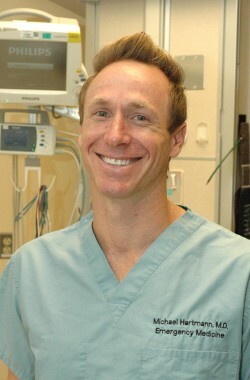 physical therapist or podiatrist to assist with stretching or biomechanical issues. Achilles tendonitis: Overuse can cause inflammation of the Achilles tendon, which can result in pain in the back of the distal leg just above the heel, and can go into the calf. Runners experiencing this should consider taking time off from running to let the tendon heal as it can develop into a chronic tendonitis. Heel drop exercises performed on stairs (eccentric stretching exercises where you stand on your toes while on the stairs and slowly let your heels drop down) may help, along with calf stretching exercises. Strengthening of the calf muscle with calf raises is important as well. Self-massage of the Achilles tendon either by hand or with self-massage stick may also provide relief. Listen to your body. Dealing with an injury does not mean you have to lose fitness. Consider swimming, biking or performing some other non-weight bearing activity as you recover from some of these injuries. Always remember to ice and don’t hesitate to seek help from a medical professional for persistent injuries. Starting point: Make sure the first week of the training plan is consistent with your current mileage base. Most programs assume a “beginner” runs 8-10 miles per week. Don’t choose an intermediate program if you are really a beginner. On the other hand, if you have raced the half marathon before, choose a more advanced program that will give you the challenge of speed work and hill training so you can race more aggressively and better your previous time. Calendar time: Look at your calendar and make sure you have enough time to complete the training before your goal race. You definitely don’t want to try to shorten the program to fit it in with the date of your race. If you don’t have enough time, choose a different goal race. Weekly running program: Choose a program that includes one longer run per week and at least two shorter runs per week. The long run should ramp up to a maximum of around 12 miles or two hours of running. Your last long run should be approximately two weeks before your race. After you complete that last long run, your program should include a taper, a reduction in weekly mileage while maintaining the speed/intensity of the runs. Race conditions: Train on surfaces and terrain that are similar to your goal race terrain. Find out if your race is hilly or flat, asphalt or crushed gravel, hot or cold temperatures, morning or evening, and train under conditions as similar as possible to your goal race. If you can’t do all of your training under race conditions, at least do your long runs that way. Fueling and hydration: For the half marathon, you will definitely need to come up with a hydration strategy that works for you. Determine how frequently you will consume fluids and how much fluid you will consume. It is usually best to drink at the frequency at which water stops will be available on your goal race course. This information should be available on the race website. You may also find you perform better by ingesting some carbohydrates during your long runs – experiment with sports drinks, gels, blocks, etc. to see what works for you. Practice and refine your hydration and fueling strategies during your long runs. Whether your end goal is to complete a half marathon or to use it as a stepping stone to the marathon, enjoy the race and be proud of the great accomplishment of completing a half marathon! I think running is one of the greatest exercises you can do for your body. It has so many benefits for physical and mental health. It helps in losing weight, lowering blood pressure, lowering blood sugar, building muscle and keeping a positive mood. So many good things come from running. But not everybody thinks of running as fun. Some of you may be training for your first 5K or half marathon and may find the task of training for this daunting. 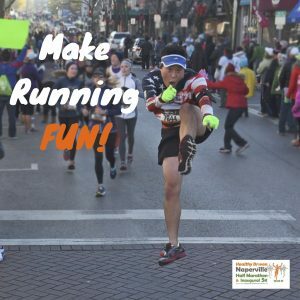 Here are some simple ways to keep in mind to make running fun. Find a purpose. Running is always more fun if you are running for something. If you are reading this column, they you have likely signed up to race which is a goal in itself. As you are training, decide what you want to achieve in this race. Is this your first 5K and your goal simply to finish? Do you want to beat your friend who is also racing? Do you want to run a personal best? Your goal should be reachable and attainable. Having a goal to focus on will make training easier as you try to attain that goal. Other people may decide to race for a loved one by raising money for a cause. Raising money for charity in races is a great way to motivate runners and keep it fun, because every time you lace up your shoes, you are doing it for a greater purpose which should give you great satisfaction as you go along with your training. Don’t go it alone. A second way to make training fun is to buddy up. This can come in the form of training with your friend, neighbor, or family member. Training with someone else makes running a social activity. It allows us to bring others into our training and lives. Many a great conversation has been had on training runs. The social nature of running decreases anxiety and makes it harder to skip a training run. You can also consider joining a local running club with like-minded runners that usually meet on certain days and times. Also, consider getting the family involved. Bring the kids on your run. Put the kids on their bikes so they can follow you while you run. Run to the park with them. Let them play. Take a stretching break and then run back. Now the whole family gets exercise and helps you out along the way. Mix things up. Varying the intensity of your runs is another way to make running fun. Don’t just go out and always do the same distance run at the same pace. That will get very boring very quickly. The easiest way to vary your runs is to do a fartlek run. Fartlek means “speed play” in Swedish. This is a simple form of interval training in which you vary the speed of your run for certain distances within the run. It can be as easy as seeing a mailbox in the distance and deciding to run a little faster until you get there and then slowing down again. Repeat this, many times, throughout the run, with various distances of increased speed and then return back to your base pace. Keep things interesting with a fartlek run once per week. Go gadget free. So many of us are fixated on our Fitbits or Garmins that we feel like we can’t leave the house without them. We are constantly looking at the gadget, trying to get feedback on our pace or distance. In doing so, we are disconnecting ourselves, in a way, from our activity. Try running simply for the joy of running. Connect with your own body and settle into your run. Let yourself be free. Feel the wind in your hair, the sweat on your face, and the burn in your legs. This will really bring the joy back to running. Try running without your gadget at least once a week and see how good you feel. 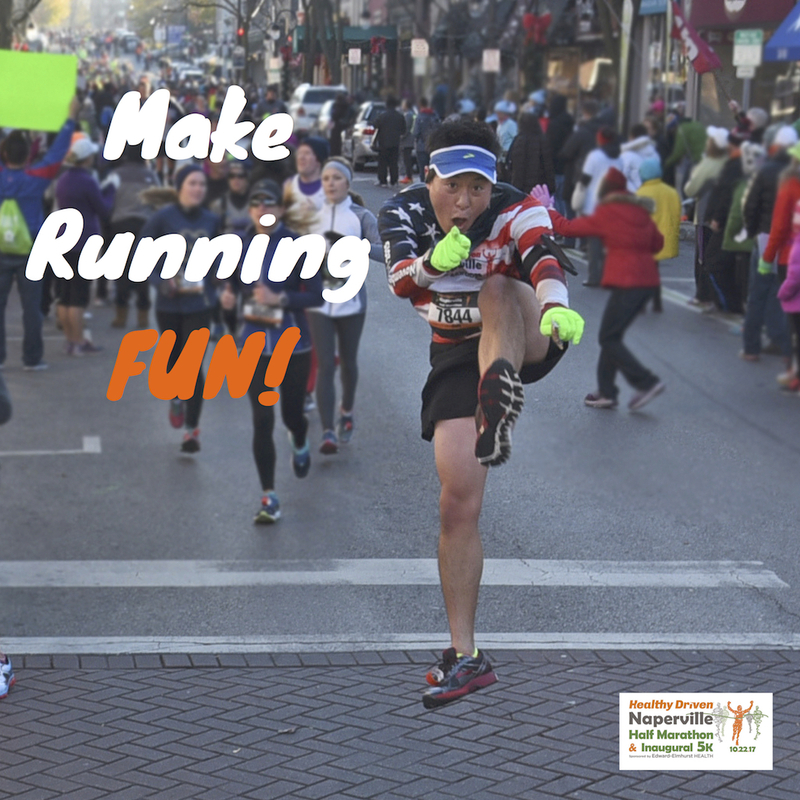 Remember the fun of running isn’t over at the finish line. Continue the fun throughout the year. Make running a lifestyle choice. Happy trails! After being a high school dual-sport athlete, Katie Bryk was looking for a way to stay in shape when she went off to college. She found a niche in distance running, running 5k and 10k races and while student teaching her senior year of college, Bryk had one student that motivated her to go the extra distance, extending her mileage to 26.2. Now, nearly 20 years later, Bryk has become an avid marathoner. So avid that she had completed forty marathons by her 40th birthday. Her love for the sport and passion to help others enjoy it as much as she does has landed her at Fleet Feet Sports in Elmhurst as the head coach for the marathon and half marathon programs. “Running is a very unique sport,” she said. “You can run alone, with a friend or two, or a training group of a 100. For me, it gives me time to clear my mind and reset for the day. Running is my yoga. Even though she has traveled across the country for the sport, Bryk has one marathon that is close to her heart and on her calendar every year: the Healthy Driven Naperville Marathon. “As much as I love traveling for races, I’m a homebody,” said Bryk. “When I was in high school, my family moved to Naperville and I called Naperville home and I spent many high school nights at the Riverwalk! Bryk will be at the starting line again this year alongside thousands of runners on Oct. 23 in the marathon’s fourth year. With a new course design, race day gear options, and post race activities, it’s one that Bryk and runners alike do not want to miss. Needless to say, after forty marathons, Bryk has a vault of advice for others who want to get involved in the sport, whether that is a mile down the road or 26.2 miles. “Whether someone wants to run a 5k or a marathon, they need to recognize that running is 90% mental and 10% physical,” she said. “Once you release the demons that tell you – you can’t – you can do anything. While her goal of reaching 40 marathons before her milestone birthday may be complete, Bryk is nowhere near finished with her training and is looking to achieve new goals. This past year, she achieved another goal: running a qualifying time for the most prestigious race of them all. 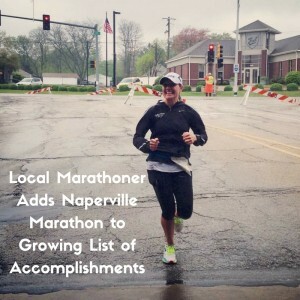 “Last year I made the commitment to myself to train for a Boston qualifying time, and at last year’s Naperville Marathon, my training paid off and I ran a qualifying time,” she said. Forty marathons under her belt? Check. Boston Marathon qualifying time? Check. What’s next on Bryk’s running bucket list? The next obvious step up: ultramarathons. With the Healthy Driven Naperville Marathon & Half Marathon approaching, it’s time to review the rules of the road when it comes to race etiquette. You might not be aware of some of the written and unwritten rules when it comes to long-distance running events, especially if you’re a first-timer. No one knows better what to do – and not to do – on race day than the Road Runners Club of America. 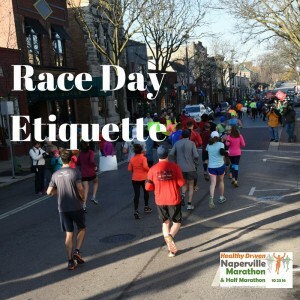 Prepare yourself by checking out their comprehensive list of pre-race, in-race and post-race etiquette advice, and then relax and enjoy your remaining pre-race days. You’ve done all you can to get ready. All that’s left is the run! It’s been great working with you throughout all these months of training. Thanks for your time. I’ll be rooting for you. Good luck! Now that you are just a few weeks away from your goal race, it’s time to taper and allow your body the rest it needs to repair and rebuild muscle and tissue, replenish muscle glycogen stores, restore optimal hydration levels and reduce stress hormone levels. Sleep: Small changes make race day easier. Shift your sleep schedule to race-day wake-up time requirements over the final week before the race. That way when you wake up on race morning, your wake-up time will feel natural. Don’t worry about insomnia the night before the race. Make sure you get a good night’s sleep two nights before the race and you’ll be fine. Stress: Try to limit significant life stresses during the month prior to the race. If possible, avoid job changes, household moves, significant travel and other disruptions to your normal lifestyle. Running mileage: Follow a two- or three-week taper, depending on your experience level. For both methods, maintain the intensity (speed) of your runs, but reduce running volume (distance covered). You should run little or no mileage 2-3 days prior to the race. If you feel you must run to loosen up the day before the race, don’t run more than a mile. If you feel any and all of this – good job! Your taper is going according to plan and you’re on track to be able to do your very best on race day. More important than anything, stay relaxed. If you have followed a well-designed training plan and have prepared well, you are ready to have a successful goal race! Start early. Get the majority of your run in before the heat of the day. Avoid 80+ degree temperatures by starting at 5 or 6 a.m.
Run on a different (cooler) day. Doing your long run a day or two earlier or later won’t ruin your training plan – just adjust your other runs that week accordingly. Remember, your long runs are most important in training for the marathon or half marathon, so adjusting other runs to have long run success is a good trade-off. Find a shaded route. Running in the shade helps you stay a little cooler on days that are hot, but not too hot. Run on an indoor track or treadmill. I know it’s boring, but at least you’ll have conditions under which you can finish your long run. If there are Excessive Heat Warnings (or Air Quality Alerts, especially if you have breathing issues), this may be your only option. Two hours before the long run: Eat a simple carbohydrate, low-fiber, low-protein snack, such as a bagel with a small amount of peanut butter. You’ll need to experiment a bit with the pre-run snack to see what works best for you and your digestive system. During the long run: Ingest 30-60 grams of carbohydrates per hour via a sports drink (glycogen + electrolyte). See the hydration recommendations above. Within 30 minutes of a long run: Refuel with a protein- and carbohydrate-rich snack, such as a fruit and yogurt smoothie or a bagel with peanut or almond butter. Gastric distress/upset stomach: If you are getting nauseous or experiencing stomach cramps, diarrhea or constipation, you may need to adjust your pre-run eating. To avoid digestive upset during long runs, it is best to avoid sugar, high-fiber, lactose-containing dairy and dietary fat prior to your long runs, at least until you understand how your digestive system responds to these foods. During your run, keep your tummy happy by avoiding caffeine and excess sugar. Keep in mind that constipation can result from dehydration and that diarrhea can result from heat exposure. Run with a group/running buddy. This can provide great distraction for you mentally and can help the time pass by more quickly. Try visualization. Visualize running in your actual goal race. Think about the supportive crowds and how proud you will be when you finish that race. Take a more interesting route. You may want to vary your long-run routes. If you are using the same trail as you ramp up your long run you may be getting bored with the course. Try a new route, but make sure you have a strategy for fueling and hydration based on that new course. 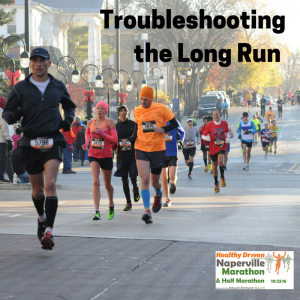 Running out of gas/pacing issues: If you are slowing considerably at the end of your long run, you may be starting out too fast. If you are a new marathoner and aren’t trying to do a specifically paced long run, start slower than your long run goal pace for a few miles. This should allow you to finish strong. Meet David Cleveland, Race Director for the 2016 Naperville Kids Marathon! Cleveland has been involved with the Naperville Marathon & Half Marathon since its start three years ago as an Aid Station Manager. With his background in running and career working with children, it was without a doubt that he was the right person to spearhead the Naperville Kids Marathon. Since that first marathon, Cleveland has competed in over 30 marathons, including four trips to Boston, and has even run internationally in London, Berlin, Rome, and Hamberg. He also participates in track workouts with Vic Hildebrand at North Central College and has been a dedicated runner with Mark Witt’s running club on Saturday morning’s for the last 14 years. When he is not organizing the Naperville Kids Marathon, Cleveland, a retired school teacher of 36 years, has returned back to Elmwood Elementary School to take charge of the school’s running club, a position he has held for the last six years alongside Kathy Mueller. 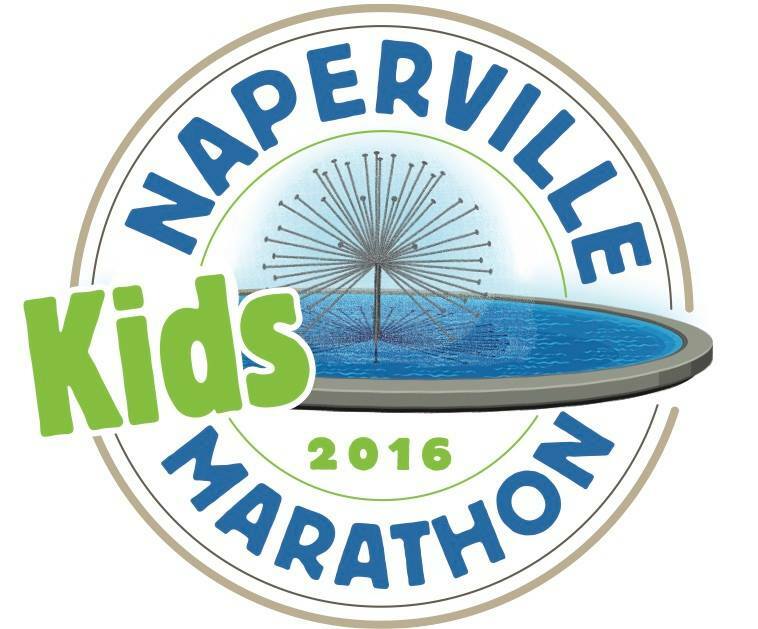 The Naperville Kids Marathon is a fun experience for children ages 5-13 to not only develop a love for physical fitness and activity, but also running. Children, with adult supervision, run or walk one mile 25 times over the summer and fall and record each run/walk in their colorful running log! The program’s final 1.2 miles are completed with other hundreds of children who have been running their miles all summer on October 22, 2016. On race day, participants receive their official race t-shirt and bib before toeing the start line at the Naperville North High School football stadium. Runners are also welcome to have a parent or guardian run alongside them. When the children cross the finish line, they will receive their finisher’s medal, just like the finishers in the adult race. We’ve written a lot about marathon preparation and training, but I’m sure many readers aren’t interested in training for and running the marathon at this point in life. 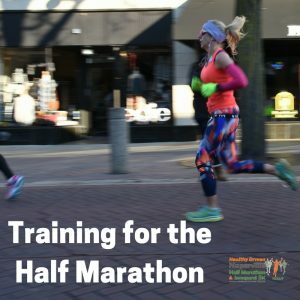 For those of you not planning for 26.2 this year, there are many benefits of running and training for the half marathon. Physiology: One of the most important differences between the marathon and the half marathon is that the human body cannot store enough glycogen (the body’s favorite go-to energy source) to finish a marathon. 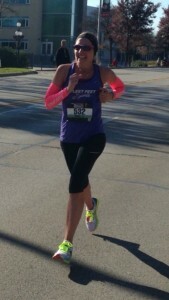 The good news is the human body has plenty of glycogen to finish a half marathon. This means, for the half marathon, you won’t need to do all of the super-long training runs designed to teach your body to burn fat as a fuel for exercise. As a result, you’ll also find the half marathon long runs don’t take as much out of you and are easier to recover from than marathon long runs. Time (per week): Given the distance difference between the half marathon and marathon, you’ll need to devote much less time to half marathon training. Your longest training run for the half marathon will likely be 12 miles or two hours. This is much less time-consuming than building up to a 20- or 21-mile training run as is necessary for the marathon. Time (per year): Depending on your starting running fitness level, it will take much less calendar time to train for a half marathon as compared to the marathon. As an example, if you’re currently running 8-10 miles per week and have been doing so for two or more months, it will take you about 12 weeks to train for a half marathon. From this same starting point, it will likely take you about 24 weeks to prepare for the marathon. Physical demands: The long runs and mileage demands of marathon training, along with the calendar time necessary to prepare for the marathon, take a toll on a runner. A runner training for the marathon needs to pay close attention to diet/nutrition, rest/sleep and stress levels in order to stay healthy through the marathon training process. The half marathon places much less demand on the body. Of course, it still makes sense to take good care of your body during half marathon training, but there is a lot more wiggle room. Added post-race bonus: You’ll recover more quickly from a half marathon and have less risk of injury due to less wear and tear on the body. Psychological demands: Due to the difficulties of marathon training, there are a lot of psychological demands on the runner. The training can create a lot of stress and consume so much time and energy that it interferes with other aspects of your life. If you have a lot going on in your life, you may have trouble finding the time for marathon training. Half marathon training creates much less mental stress for you and your family. Marathon transition: If you are a relatively new runner, you may eventually want to run a marathon. 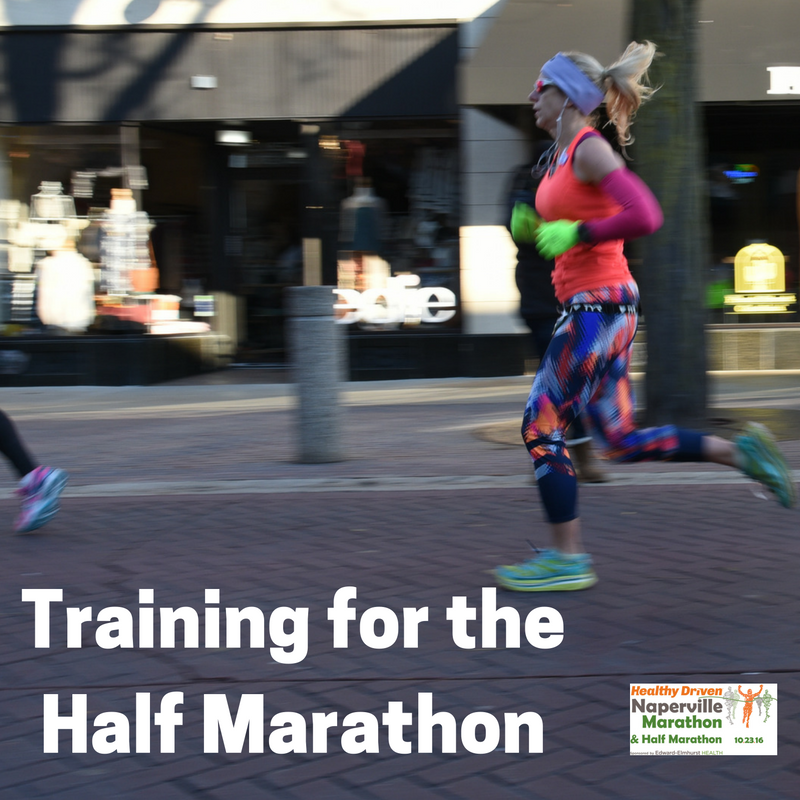 The half marathon is a great stepping stone and an excellent way to prepare your body for the rigors of marathon training. 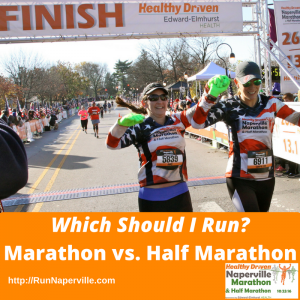 If you are a new runner, consider running the half marathon this year and the marathon next year! A training log should be an essential part of every runner’s routine. The days go by, the miles go by, the years go by. But how do we remember what we did from day to day and from year to year? How did that interval run feel last week or last month? 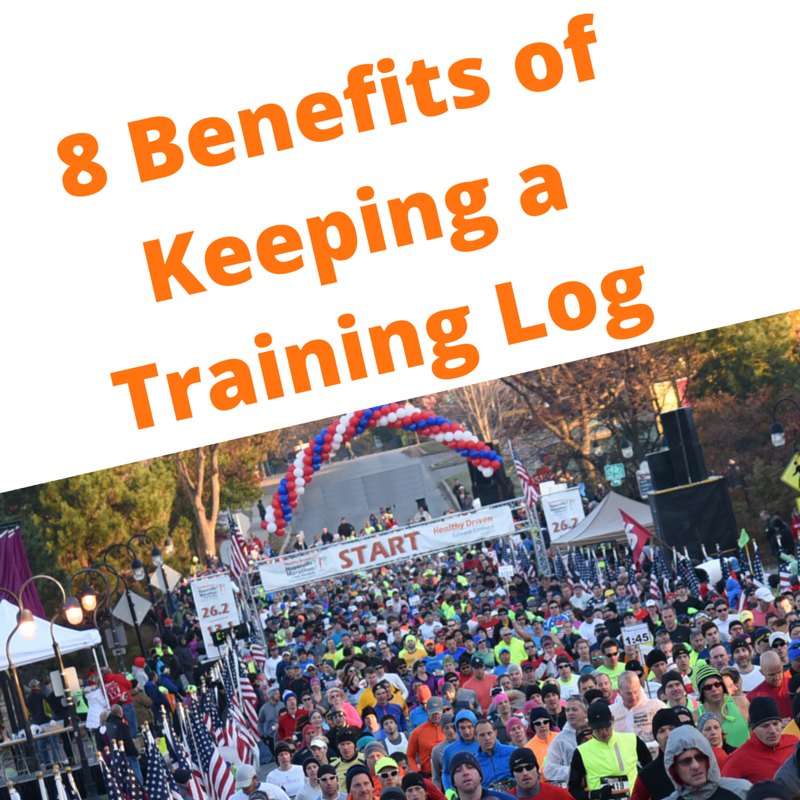 The only way to know, unless you have a memory like an elephant, is to keep a training log. It is essential for many reasons. Training logs allow us to develop a plan and stick to it. Logs allow us to map our training plan and carry it through, and they’re an excellent reference – to check what’s ahead in future workouts or review our training history. Logs allow for self-reflection. We can gather running data and refer to it at any point during our training cycle. We can compare week-to-week, month-to-month or year-to-year. We can compare our mile interval times to the intervals we did last week. Hard to remember all this data unless it is logged. Some people may train with heart rate monitors and this can also be included as well. You can record your resting heart rate in the morning as a way to judge the level of your fatigue. A higher resting heart rate than your baseline usually means your body is fatigued or did not recover fully from the previous day. So pay attention to this when planning for that day’s workout. You can also record subjective feelings about how you felt during the workout. These notes all can add up and help you adjust your training plan to track what is and isn’t working. Noting which shoes were worn during training runs can help you know when you should change shoes. Sleep can be monitored in the log as well as it certainly affects training performance. Use a log during any injury and as an injury prevention tool. Look at the log and the events preceding your injury to see if there is anything you could have done to prevent the injury. Check your log in times of doubt to look at all the work you have put in and realize you are on the way to achieving your goals. Use it to boost your confidence. Keeping a diary is simple. It can be kept on anything from a calendar to a computer. There are many computer programs that log training data. A spiral notebook serves well as a training diary. 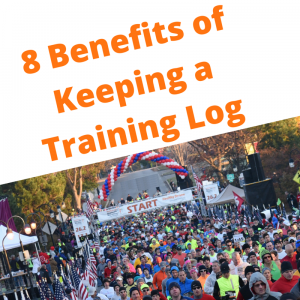 In the simplest form, the training log should record time and distance of run. If you did intervals, make sure to record how many, what distance and your time. Once you have your log set up, enjoy it. Have fun with it. Realize that you are mapping out your future. Most runners keep a log and I believe you should as well to take your running to the next level.